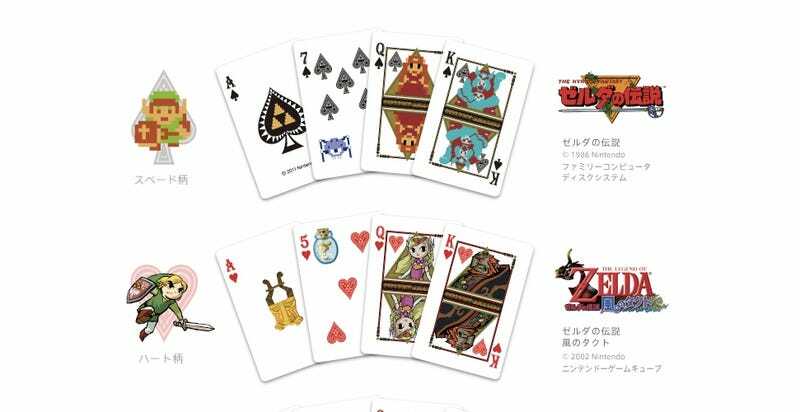 Priced at ¥1,050 and out this December in Japan, the decks feature art from four Zelda games. The spades are The Legend of Zelda, the hearts are The Wind Waker, the diamonds are Ocarina of Time 3D, and the clubs are Skyward Sword. Not only do I love that Nintendo is still makes playing cards, I love that Nintendo makes Zelda playing cards.